The internet has virtually exploded with parodies of this inane ad from Mitch McConnell … to be fair we should point out that although #McConnelling has been popularized by Jon Stewart and the Daily Show and Youtube is full of examples inspired by him , the parodies really started before Stewart got his hands into it . ” Mitch McConnell is doing his best to walk back his comments about conservatives. He told the New York Times he intended to “crush them everywhere.” Now he says he was only talking about the Jim DeMint founded Senate Conservatives Fund and its candidates — candidates like Ben Sasse supported by Paul Ryan, Mike Lee, Club for Growth, RedState, National Review, and others. Those are his words. And he has been pretty consistent over time. Back in 2009, McConnell’s associates famously put James Dobson in a terribly embarrassing spot when they lied about Rand Paul’s record.McConnell sent staff into Kentucky to defeat Rand Paul. It comes down to arrogance and entitlement doesn’t it Mitch ? You think that you should be able to run unopposed by your own party by virtue of the fact that you’ve been in office so long . Think again . The Republican brand is supposed to thrive on competition and what’s good for us is good for your party . ” McConnell argued it is “utter nonsense” for groups like the Senate Conservatives Fund (SCF), which has endorsed his primary challenger businessman Matt Bevin, to argue that Republicans like him in Congress are not fighting hard enough to defeat Democrats. In the interview, McConnell focused on deriding Tea Partiers for leading the effort to defund Obamacare—something that, coupled with the Democrats’ refusal to compromise on the soon-to-fail Obamacare, resulted in a government shutdown. 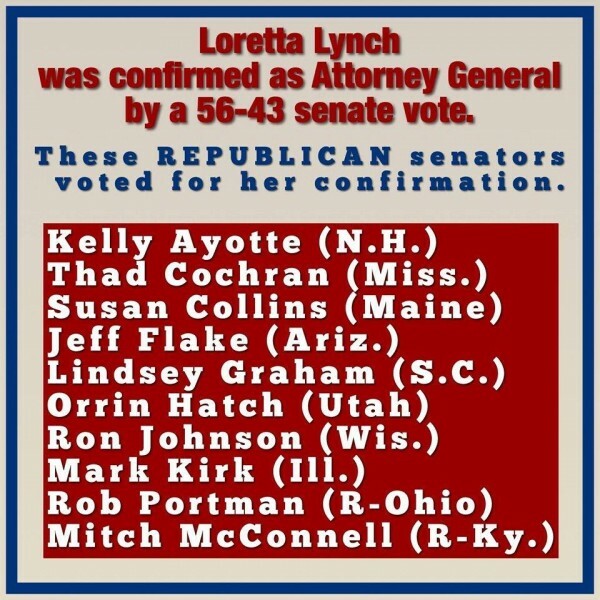 Here’s a clue Mitch , the RINO’s are the ones that are giving conservatism a bad name . Through the auspices of your leadership along with John ( go along to get along) Boehner in the House the conservative brand has come to stand for … er ? Nothing . Well , that’s not entirely true , you guys stand for capitulation . What has ruined the Republican brand is the fact that your party has shown itself to be little besides “Democrat Lite” and an ineffectual “Lite” at that . Say what you will about the Democrats but at least the have the courage of their convictions . Remember those ? Convictions ? The GOP establishment as embodied by the likes of you and John McCain , Lindsey Graham , John Boehner show us little in the way of conviction or core beliefs other than fighting off the fiscally responsible Tea Party caucus in your own party . 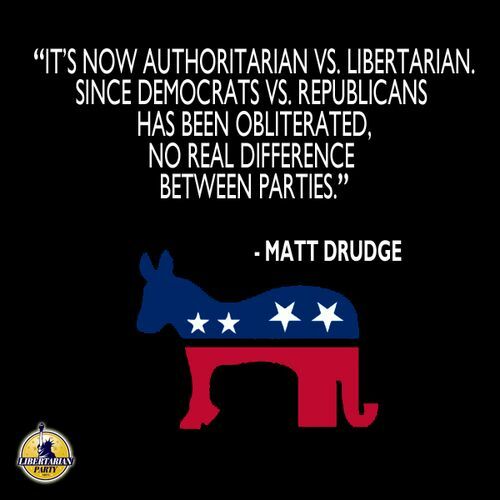 If only you and your appeasement minded cabal of establishment toadies put as much effort into defeating the Dems as you do the Tea Party maybe you would have some accomplishments to trumpet but as long as you insist on committing fratricide you doom your party to permanent minority status . ” As a number of Senate Republicans take a stand against Barack Obama’s nomination of far left judges, the chamber’s top Democrat wants to find a way to stop them. In an announcement Thursday, Majority Leader Harry Reid voiced his support of a rule change that would curtail the practice of filibustering. For the minority party, filibusters are one of a handful of tactics available to make its position heard. Reid, on the other hand, said that such allowances have resulted in a “broken” Senate. To think it was only one administration ago that the alleged “pederast” of the Senate was singing a different tune . Give a listen to Dingy’s explanation of why the filibuster rule is was an essential part of our republican , not democratic , form of government . ” Unfortunately, the Nevada senator seems to miss the point that debate on a particular issue is actually a congressional responsibility, not something that needs to be eradicated. Of course, leftist legislators rely on ramrodding laws and nominations that could not stand Republican scrutiny. Mr Reid needs to be reminded that the purpose of the filibuster is to prevent the tyranny of the majority that our forefathers were rightfully so concerned about , to allow the minority to be heard and that it is one of the very features of government that make ours a republic and not a simple democracy(mob rule) . He would also do well to recognize that he won’t be Senate Majority Leader forever , perhaps not past 2014 as a matter of fact and thus he should very carefully consider the precedent he is threatening to set . We all know what they say : ” payback is a b**ch” . ” Though Republicans are currently the minority party in the Senate, Democrat support of the unpopular ObamaCare law has caused the approval rates of many legislators to plummet. Should the GOP regain power of the chamber after next year’s midterm elections, that party would benefit from Reid’s rule change. Why don’t we let Senator Reid himself explain to us the filibuster , it’s long history , it’s essential nature to the American form of governance and also regale us with a conversation that took place over two hundred years ago between George Washington and Thomas Jefferson on just why the filibuster is an absolute necessity for the protection of the republic . We would say those were words to live by Mr Majority Leader , but then again everything from the democrats comes with an expiration date doesn’t it sir ? Even principles . They’ve done it . As we were putting this piece together the scalawags from the democratic caucus in the Senate broke the rules to change the rules and thereby have eliminated the one tool that a David representing the minority could use to great effect against the Goliath tyranny of the majority . Democrats … Party of the people ? Defender of the little guy ? Balderdash ! Oh yes , did we mention …. SQUIRREL ! Does anyone have any idea why the appointment of judicial nominees is of such importance now , just as we are gearing up for the holiday recesses ? One word comes to our mind , well two actually , one (squirrel) that is what Mr Reid and Co are shouting today and the second word is Obamacare , the one word Mr Reid would love to knock off of the airwaves and out of people’s minds. 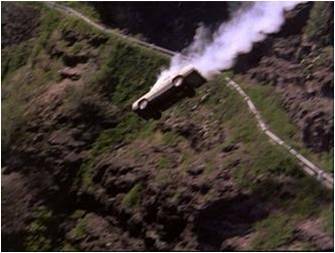 Good luck with that Senator , although we think you have made a grave miscalculation . The people will never be able to forget about the S**t sandwich you and your cronies forced down their throats and now you’ve treated them to the ultimate display of hubris and hypocrisy with your invocation of your so-called “nuclear option” and along the way revealed yourself and your colleagues for the unprincipled mountebanks that you are . ” By promising that under no circumstances will there ever be another government shutdown, what McConnell has done is telegraph to Harry Reid that he will absolutely, under no circumstances, walk away from the table without a deal. You don’t see Reid doing that. He doesn’t care if the government shuts down, and he is certainly not going to give in to McConnell’s demands to see that it won’t. By the way, notice how Schieffer cleverly affirms McConnell’s surrender instinct by treating him as Mr. Reasonable while wondering aloud how he will ever deal with that insane Ted Cruz or those horrible Tea Party people who are “going nuts” and threatening to primary him. This is classic. It’s how the media helped turn John McCain into mush. They pet him on the head when he’s a good little Republican who goes along with “the way things are done in this town,” and they make it clear that if he ever steps out of line like that icky Ted Cruz, he will lose their favor. Mitch McConnell should be ashamed of himself . If this is all that the Republican party can offer in the way of leadership there is no reason for anyone with any concern with the financial future of this country to think that there is any difference at all between the parties . We live in a one-party country and that’s a fact . ” The least dispiriting moment of another grim week in Washington was the sight of ornery veterans tearing down the Barrycades around the war memorials on the National Mall, dragging them up the street, and dumping them outside the White House. This was, as Kevin Williamson wrote at National Review, “as excellent a gesture of the American spirit as our increasingly docile nation has seen in years.” Indeed. The wounded vet with two artificial legs balancing the Barrycade on his Segway was especially impressive. It would have been even better had these disgruntled citizens neatly lined up the Barrycades across the front of the White House and round the sides, symbolically Barrycading him in as punishment for Barrycading them out. But, in a town where an unarmed woman can be left a bullet-riddled corpse merely for driving too near His Benign Majesty’s palace and nobody seems to care, one appreciates a certain caution. ” Kentucky Sen. Mitch McConnell released a new campaign ad on Wednesday, hitting the Obama administration over the IRS scandal and using an infamous quote from disgraced former president Richard Nixon to suggest President Barack Obama is Nixonian. After using news clips about the scandal involving the IRS’s specific targeting of conservative groups, the ad shows the jaw-dropping line from Nixon’s 1977 interview with journalist David Frost. “When the president does it, that means it is not illegal,” Nixon says. COULTER: WHEN DID WE VOTE TO BECOME MEXICO? ” Before I had resolved which scandal was distracting from which, we found out the Department of Justice was spying on The Associated Press — not to protect national security, but to prevent the AP from scooping the White House. Then, this week, it broke that the Department of Justice was also spying on Fox News for reasons that remain unexplained. So now I think all the scandals are intended to distract from Rubio’s amnesty bill. The 50-1 Latin American-to-European ratio isn’t a natural phenomenon that might result from, say, Europeans losing interest in coming here and poor Latin Americans providing some unique skill desperately needed in our modern, technology-based economy. ” On the cold open of Saturday’s broadcast of NBC’s “Saturday Night Live,” Kenan Thompson impersonated of MSNBC “Politics Nation” host Al Sharpton, in a clip that also parodied Washington Post columnist Dana Milbank. Thompson’s Sharpton fumbled his way through the show, proclaiming the tea party to be perturbed by the ‘irs,’ meaning the IRS, and previewed a clip of what was supposed to be Sen. Mitch McConnell, but wound up being Matthew McConaughey on Jimmy Fallon’s late-night show talking about eating sushi. 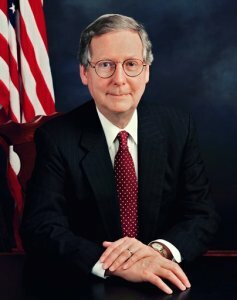 ” With at least 14 United States senators (all Republicans), including Minority Leader Mitch McConnell (R-KY), having vowed to filibuster any proposed unconstitutional gun legislation (and given the Constitution’s clear statement that the right to keep and bear arms is one that shall not be infringed, that would seem to indicate that all proposed gun legislation would be subject to filibuster), the forcible citizen disarmament advocates are growing louder and louder in their outrage. “There is simply no reason for the blatant obstruction except the fear of considering anti-violence proposals in full, public view. Yet now many Senate Republicans seem afraid to even engage in this debate. S[h]ame on them,” Reid said on the Senate floor. McConnell Office Bugged Or Traitor In His Midst ? ” On Tuesday morning, Mother Jones, a liberal magazine, published an audio recording of McConnell staffers discussing opposition research they could use against actress Ashley Judd, who was considering running against veteran senator in the 2014 Senate race. Judd announced last week that she would not make the race. McConnell is not disputing the authenticity of the tape. Yesterday, his campaign offices were swept by a private security detail, which did not find a bug. Still, given that the meeting was attending by only a handful of longtime McConnell insiders, team McConnell is convinced it was not an internal leak. In an earlier statement, the McConnell campaign accused “the Left” of using “Nixonian tactics” and bugging the campaign’s headquarters. David Corn, the Mother Jones reporter who broke the story, stood by his reporting and noted that he repeatedly reached out to the McConnell camp before publication. ” Senate Minority Leader Mitch McConnell said he would join a group of Senate Republicans threatening a filibuster to oppose a cloture vote if Senate Majority Leader Harry Reid moves a gun bill to the floor this week. ARE REPUBLICANS DOING BETTER THAN YOU THINK? On taxes, McConnell (R-Ky.) just flat-out beat Joe Biden. He preserved 98 percent of the Bush tax cuts in perpetuity, which from a policy perspective is huge. He also made sure that the payroll tax holiday came to a conclusion, thereby making sure that every American would feel the tax increase that President Obama has long been fighting for. ” Though manufacturing hemp is currently just as illegal as growing smokable pot, 10 states already have frameworks in place for industrial hemp production. The problem is that the Drug Enforcement Administration classifies all forms of hemp as a controlled substance, despite the fact that industrial hemp generally contains less than 0.3 percent THC, or anywhere between 1/6 to 1/66 the amount you’ll find in marijuana. If you tried smoking hemp, you’d exhaust yourself before you got high. 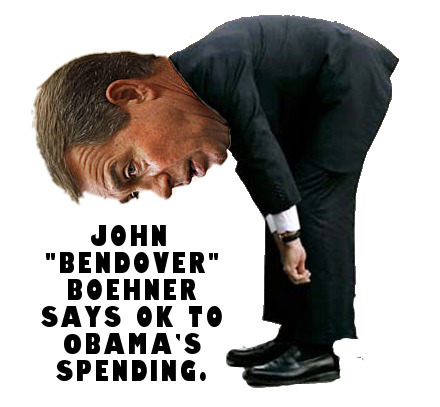 ” Will the move keep the minority — currently Republicans — from obstructing major bills? Certainly not. But it could reduce the pervasive use of dilatory tactics that have killed off countless pieces of legislation and delayed presidential nominees, sometimes for months. The changes, which passed 86-9, will help legislation reach the floor of the chamber more quickly by barring a senator from using a blocking tactic, known as the filibuster, at the beginning of debate on a bill. “It is a step in the right direction,” Democrat Tom Harkin said of the deal which was brokered by four Senate Democrats and four Republicans after weeks of negotiation. But those bids were defeated, as Senate Majority Leader Harry Reid and top Republican Mitch McConnell agreed to a compromise hashed out by the bipartisan group. Senate rules until now allowed a lawmaker to filibuster a bill at many stages of the process. By the end of this decade, the interest we owe on our debt could rise to nearly $1 trillion. Just the interest payments. Then, as the Baby Boomers start to retire and health care costs continue to rise, the situation will get even worse. 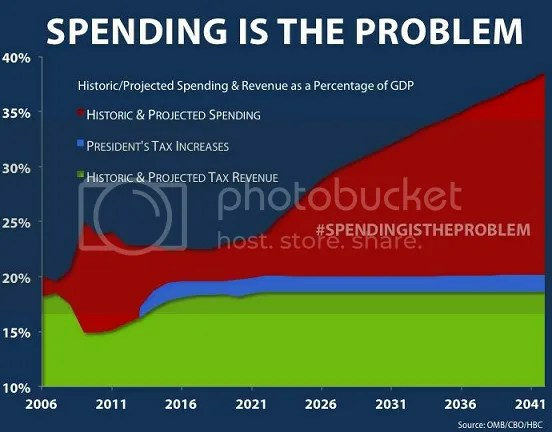 By 2025, the amount of taxes we currently pay will only be enough to finance our health care programs, Social Security, and the interest we owe on our debt. That’s it. Every other national priority – education, transportation, even national security – will have to be paid for with borrowed money. ” Washington D.C. lawmakers in both chambers left the capitol on early Sunday night after negotiations to avoid the fiscal cliff fell apart in the Senate.